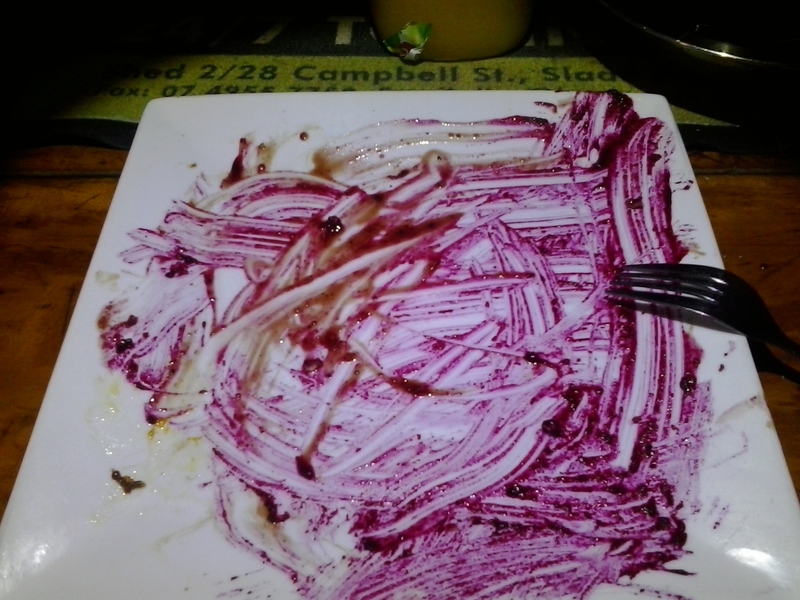 I couldn’t let my 200th post slip by unnoticed but I couldn’t decide what to do. I was thinking of picking a nationality and doing a feast or perhaps a certain protein like a seafood feast but just couldn’t make up my mind. Then I had occasion to have KFC for a meal and was blown away by how bad it has become. 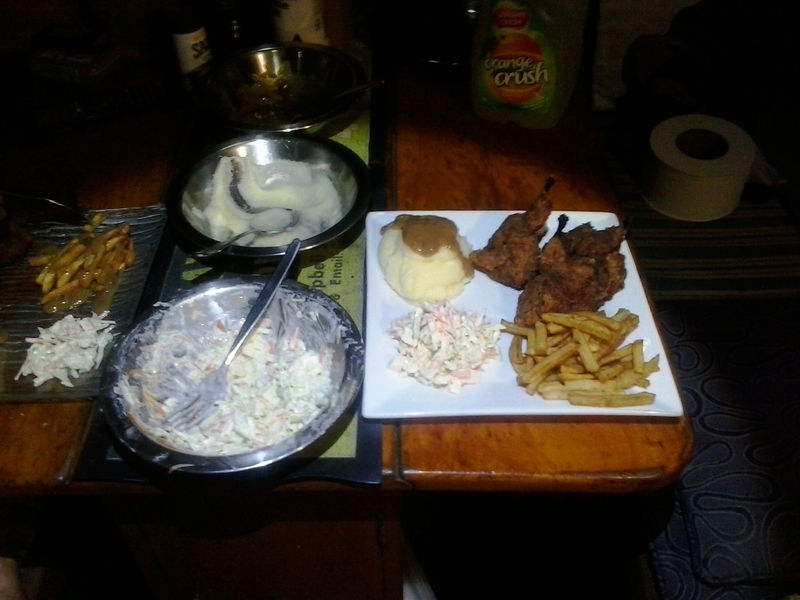 So I decided to do my own KFQ feast.KF Q?. 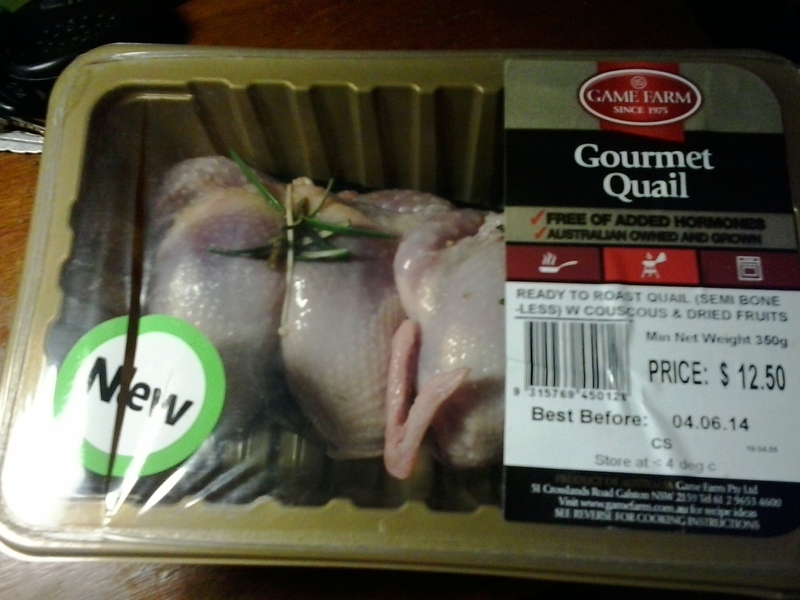 Q for Quail. 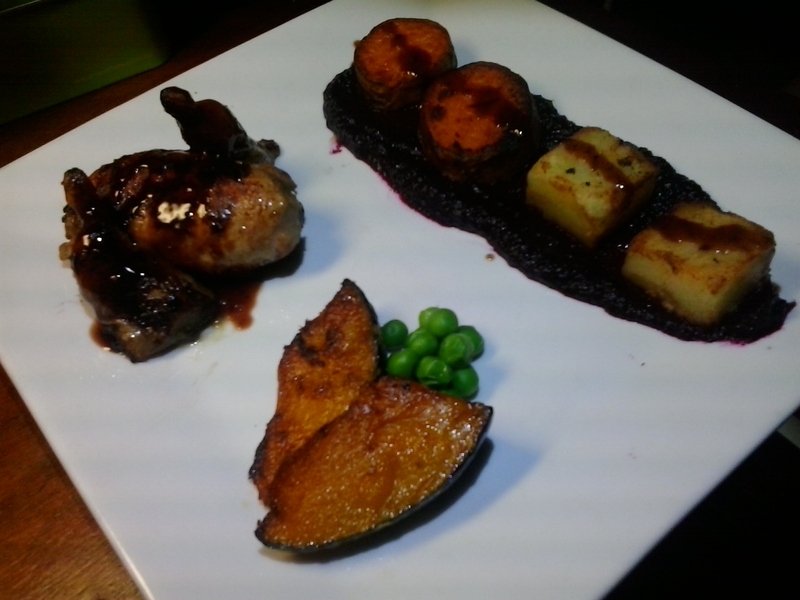 I decided to replicate a typical chicken takeaway but with whole ingredients. Now I have pretty much got the seasoning covered and the hardest part to copy was the instant mash they use. I used Golden Cream potatoes and just boiled them and then ended up passing through a fine sieve for that perfect instant potato texture. 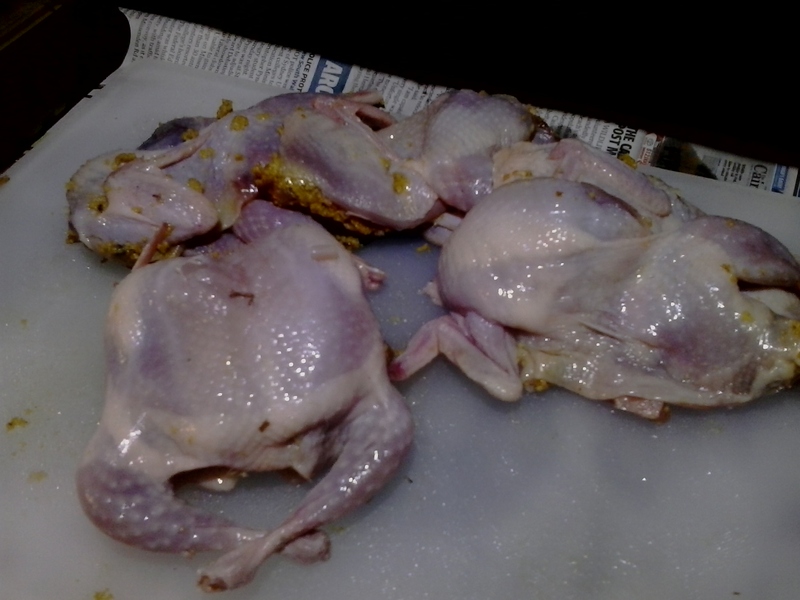 The quails were semi boned so I just split them lengthways and dipped in egg white and seasoning mix then flash fried in sunflower oil. 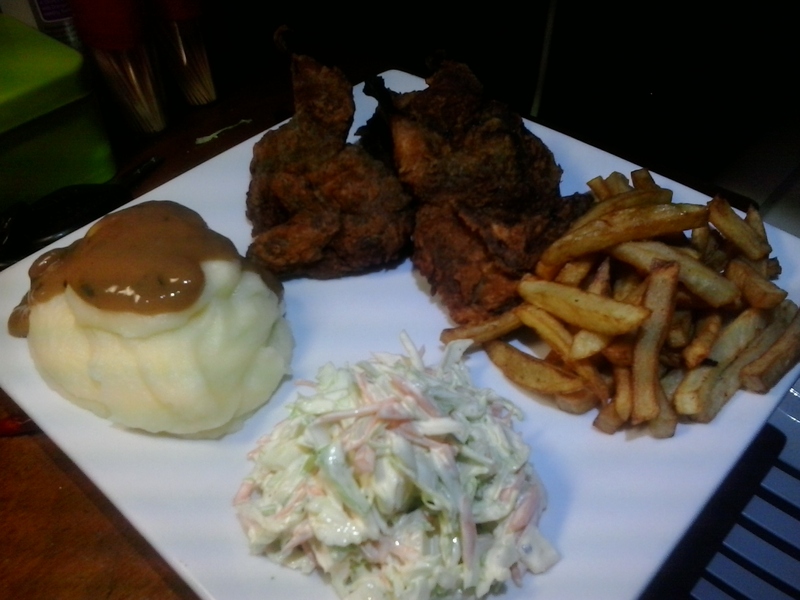 I used a nice little drumhead cabbage to make the coleslaw and more golden cream for the chips. 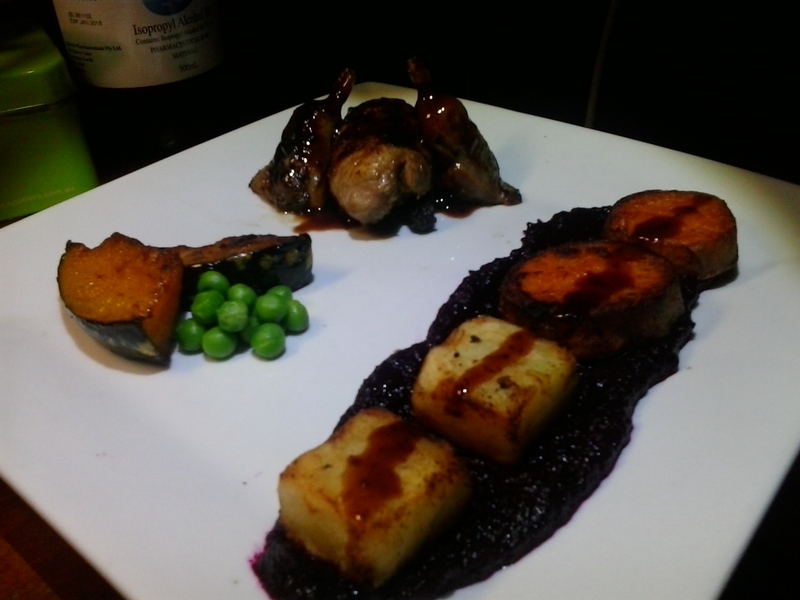 The quail was super sweet and with the spicy seasoning this is definitely going to be on the menu again. 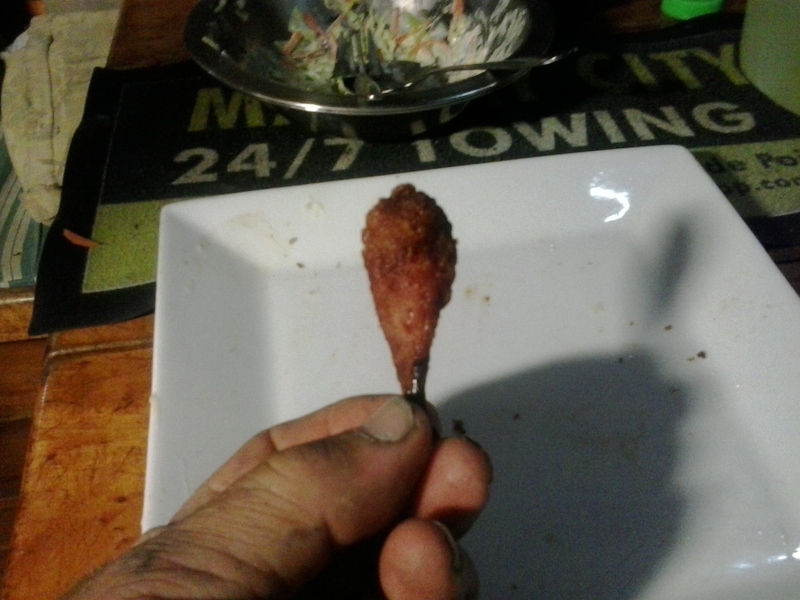 KFC wish they could do it this fingerlicking! 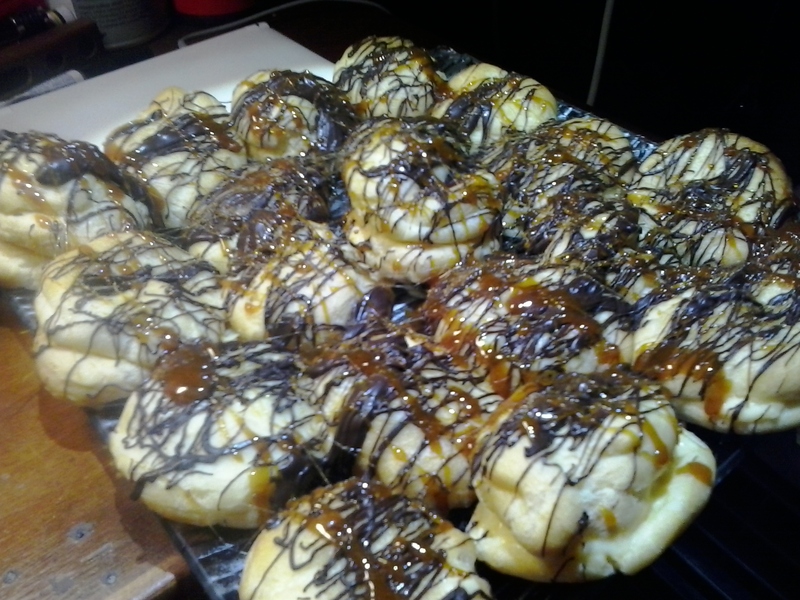 Paula helped celebrate the 200th post by making these excellent profiteroles for dessert. 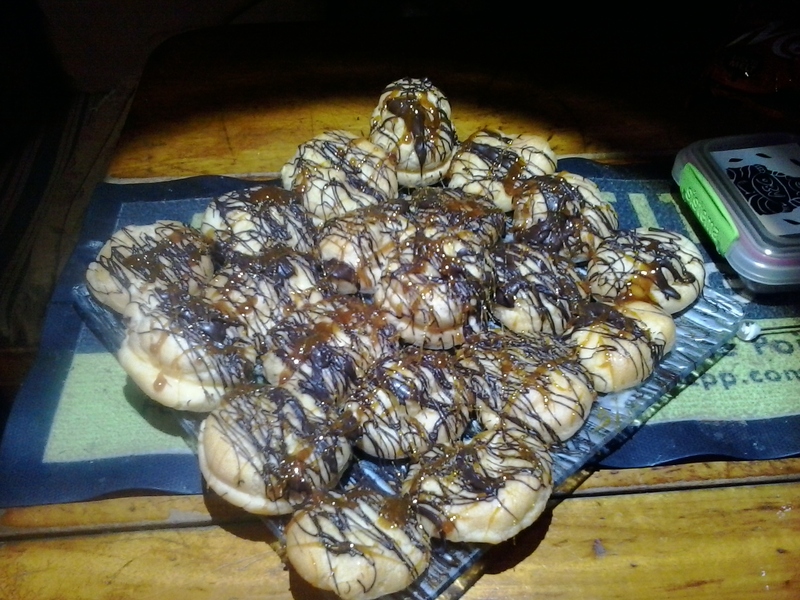 They were filled with vanilla cream custard and topped with dark chocolate and caramelised sugar.